Fabric and rose quartz "delicious" it "
Delicious ' it is one of a kind. 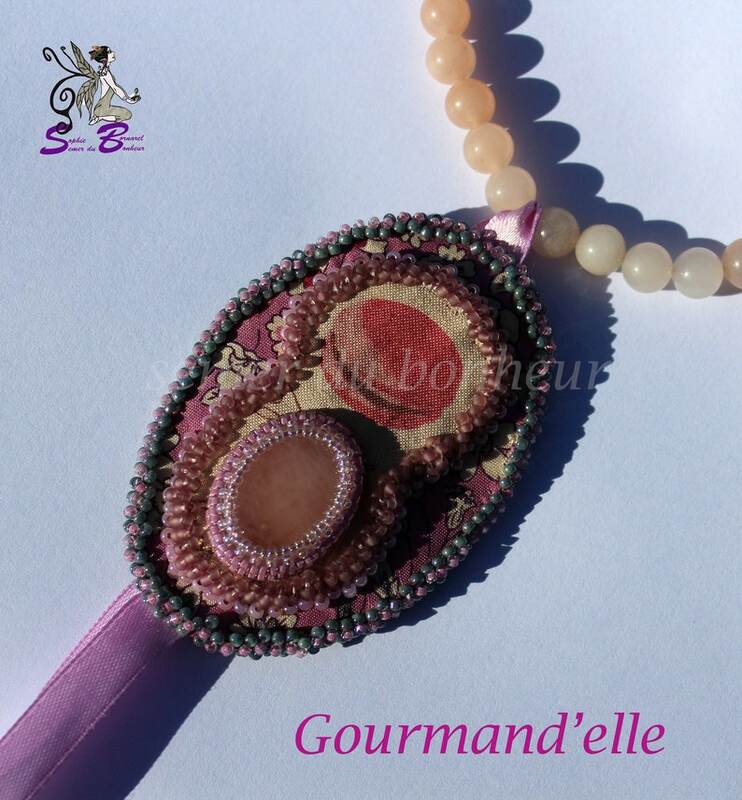 The sweetness of rose quartz comes cuddle fabric flowers and goes perfectly with the macaron raspberry and chocolate of the pendant. Delicious ' it is a necklace for girl sweet and delicious! This necklace was made in floral ruffled fabric and clay linen fabric. A 2.5 cm rose quartz cabochon is placed on natural fabric by the beadwork. The pendant measures 8 cm x 5,5 cm. The length of the Choker is 46 cm, including 21 cm chain and toggle clasp and 25 cm rose quartz beads. The necklace closes on the Necklace by a toggle clasp. 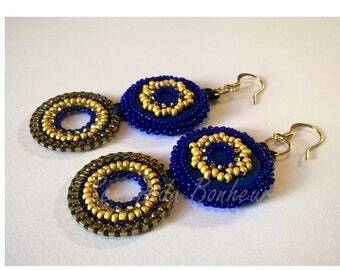 Bracelet embroidered with beads "Lunarisse"